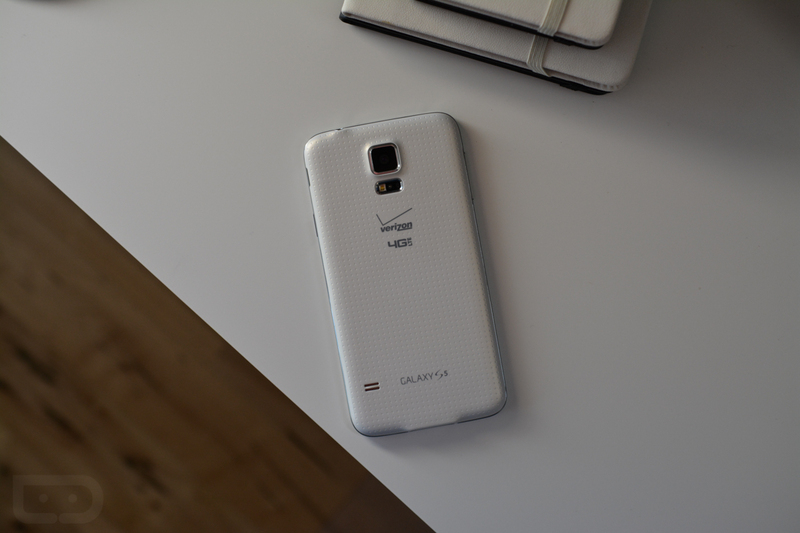 Verizon’s Galaxy S5 variant is receiving an update today to version VRU2BOE1. The update is minor, as the title of this post suggests, only bringing with it the Galaxy Apps store (bloat!) and fingerprint scanner unlocking for Microsoft Exchange accounts. That’s it! The update appears to be live for most, so feel free to check for it in Settings>About phone>Check for updates. 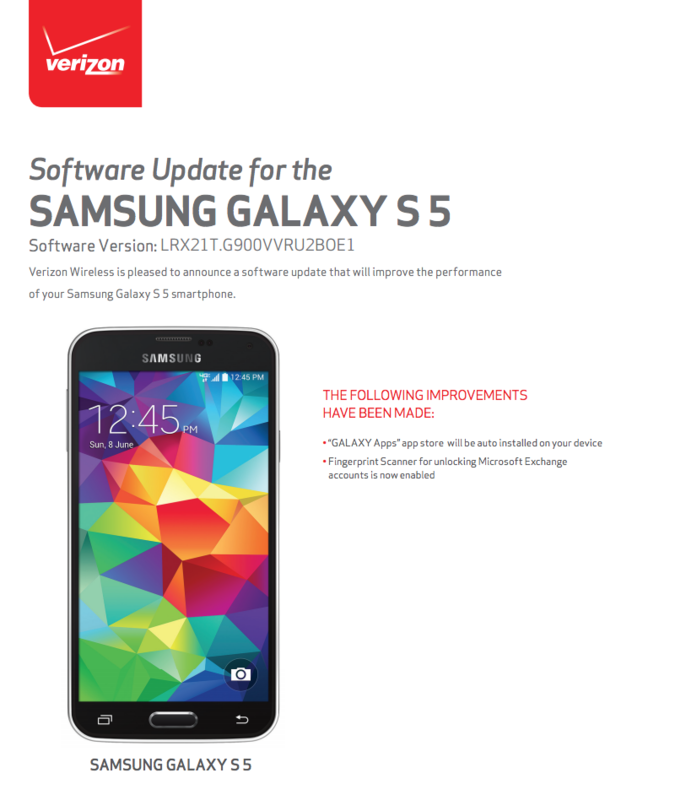 You will find the official update document below, but we should point out that this document is dated 6/29/15, while a document of an older build (VRU1BOD5) that your phone might already be running is dated 7/7/15. Who knows what Verizon is doing there. In the end, BOE1 seems to be the version hitting phones today. Cheers Jake, Mike, and Max!